See earlier Who Has Your Back? reports: 2011, 2012, 2013, 2014. We live digital lives—from the videos shared on social networks, to location-aware apps on mobile phones, to log-in data for connecting to our email, to our stored documents, to our search history. The personal, the profound, and even the absurd are all transcribed into data packets, whizzing through the fiber-optic arteries of the network. While our daily lives have upgraded to the 21st century, the law hasn’t kept pace. To date, the U.S. Congress hasn’t managed to update the 1986 Electronic Communications Privacy Act to acknowledge that email stored more than 6 months deserves identical protections to email stored less than 6 months. Congress also dragged its feet on halting the NSA’s indiscriminate surveillance of online communications and has yet to enact the strong reforms we deserve. Congress is even on the precipice of making things far worse, considering proposals that would mandate government backdoors into the technology we rely on to digitally communicate. In this climate, we increasingly look to technology companies themselves to have the strongest possible policies when it comes to protecting user rights. Which companies will stand by users, insisting on transparency and strong legal standards around government access to user data? And which companies make those policies public, letting the world—and their own users—judge their stances on standing up for privacy rights? For four years, the Electronic Frontier Foundation documented the practices of major Internet companies and service providers, judging their publicly available policies, and highlighting best practices. Over the course of those first four reports, we watched a transformation take place among the practices of major technology companies. Overwhelmingly, tech giants began publishing annual reports about government data requests, promising to provide users notice when the government sought access to their data, and requiring a search warrant before handing over user content. Those best practices we identified in early reports became industry standards in a few short years, and we’re proud of the role our annual report played in pushing companies to institute these changes. But times have changed, and now users expect more. The criteria we used to judge companies in 2011 were ambitious for the time, but they’ve been almost universally adopted in the years since then. Now, users should expect companies to far exceed the standards articulated in the original Who Has Your Back report. Users should look to companies like Google, Apple, Facebook, and Amazon to be transparent about the types of content that is blocked or censored in response to government requests, as well as what deleted data is kept around in case government agents seek it in the future. We also look to these companies to take a principled stance against government-mandated backdoors. We think it’s time to expect more from Silicon Valley. We designed this report to take the basic principles of Who Has Your Back up a notch and see which companies were still leading the pack. Already, our newest report has had a similar effect on the industry as a whole, encouraging companies large and small to strive for more when it comes to standing by their users. In the months since we first told the companies what this year’s criteria would be, we’ve seen significant improvement in company practices. And we hope—and expect—that over the next year, we’ll see even more. Does the company require the government to obtain a warrant1 from a judge before handing over the content of user communications? Does the company publish a transparency report, i.e. regular, useful data about how many times governments sought user data and how often the company provided user data to governments? Does the company publish law enforcement guides explaining how they respond to data demands from the government? Companies must fulfill all three criteria in order to receive credit. 2. Tell users about government data requests. To earn a star in this category, Internet companies must promise to tell users when the U.S. government seeks their data unless prohibited by law, in very narrow and defined emergency situations,2 or unless doing so would be futile or ineffective.3 Notice gives users a chance to defend themselves against overreaching government demands for their data. The best practice is to give users prior notice of such demands, so that they have an opportunity to challenge them in court. We have thus adjusted our criterion from prior years. We now require that the company provide advance notice to users except when prohibited by law or in an emergency and that the company also commit to providing delayed notice after the emergency has ended or when the gag has been lifted. As we were drafting last year’s report, we let the companies know that we were going to make this adjustment for 2015 to give them a full year to implement procedures to give delayed notice when appropriate. 3. Publicly disclose the company’s data retention policies. This category awards companies that disclose how long they maintain data about their users that isn’t accessible to the user—specifically including logs of users’ IP addresses and deleted content—in a form accessible to law enforcement. If the retention period may vary for technical or other reasons, the company must disclose that fact and should publish an approximate average or typical range, along with an upper bound, if any. We awarded this star to any company that discloses its policy to the public—even if that policy is one that EFF strongly disagrees with, for instance, if the company discloses that it retains data about its users forever. 4. Disclose the number of times governments seek the removal of user content or accounts and how often the company complies. Transparency reports are now industry standard practices. We believe that companies’ responsibility to be transparent includes not only disclosing when governments demand user data, but also how often governments seek the removal of user content or the suspension of user accounts and how often the company complies with such demands. We award a star in this category to companies that regularly publish this information, either in their transparency report or in another similarly accessible form. Companies should include formal legal process as well as informal government requests in their reporting, as government censorship takes many forms. 5. Pro-user public policies: opposing backdoors. Every year, we dedicate one category to a public policy position of a company. For three years, we acknowledged companies working publicly to update and reform the Electronic Communications Privacy Act. Last year, we noted companies who publicly opposed mass surveillance. This year, given the reinvigorated debate over encryption, we are asking companies to take a public position against the compelled inclusion of deliberate security weaknesses or other compelled back doors. This could be in a blog post, in a transparency report, by publicly signing a coalition letter, or though another public, official, written format. We expect this category to continue to evolve, so that we can track industry players across a range of important privacy issues. We are pleased to announce that nine companies earned stars in every category that was available to them: Adobe, Apple, CREDO, Dropbox, Sonic, Wickr, Wikimedia, Wordpress.com, and Yahoo. (Note that some companies host little or no content, and thus the transparency about government data removal requests may not apply to them.) These nine companies show that it is practical for major technology companies to adopt best practices around transparency and stand by their users when the government comes knocking. Unfortunately, not all companies are embodying such forward-thinking practices. Two major telecoms—Verizon and AT&T—received especially poor results, thus continuing a trend we identified in prior reports where many large telecom providers fail to keep pace with the rest of the tech sector. Notably, some companies that act as Internet service providers and general telecommunications providers are leading the way in adopting strong policies in defense of user rights. In particular, CREDO and Sonic again received credit in every category EFF rates. Comcast is close behind, earning an impressive 3 out of 4 possible stars. We hope other telecoms can rise to these standards in the coming years. We added three new companies to this year’s report: reddit, Slack, and WhatsApp. All three were responsive to conversations with EFF, and reddit and Slack have fulfilled several of the criteria to earn stars, though neither received credit in all available categories. Despite being given a full year to prepare for its inclusion in the report, WhatsApp did not fare so well. WhatsApp earned credit for its parent company Facebook’s public policy position opposing backdoors and nothing else. It is also clear that the technology industry stands united against government-mandated backdoors. Twenty-one of the 24 companies we evaluated have public statements opposing backdoors, which weaken security and endanger user privacy. ISPs, cloud storage providers, webmail providers, and social networks are overwhelmingly aligned in rejecting government-mandated security weaknesses. These standards were developed over the course of four years of EFF reports, and they encompass three of the main issues at the heart of Who Has Your Back: requiring a warrant before handing over user content, publishing regular transparency reports, and publishing law enforcement guides. The transparency reports and the law enforcement guides help users understand how often and under what circumstances the companies are responding to government data requests, while the warrant for content ensures a strong legal requirement be met before data is handed to law enforcement. In 2011, no company received credit in all of these categories (or even in two of those categories, since in 2011 we didn’t include a category for requiring warrants for content). This year, 23 of the 24 companies in our report have adopted these principles. It’s clear that these best practices truly are accepted by the technology industry. WhatsApp is notably lagging behind. This year, we asked companies to do more than simply promise to inform users about government data requests. We also asked them to provide advance notice to users before handing the data to the government. In cases when companies are prohibited from doing so, we asked the companies to promise to provide notice after an emergency has ended or a gag was lifted. Because we knew it would take significant engineering and workflow changes for some of the larger companies to implement these practices, we gave them more than a year’s notice that this criterion would be included in the 2015 report. Two companies who had previously earned credit in our report for telling users about government data requests did not receive credit this year because they did not have policies that tell users after a gag has been lifted or an emergency ended: Google and Twitter. Fifteen out of the 24 companies we evaluated did meet this stronger criterion, and we’re pleased that the industry is evolving in this way. Dropbox's policy is to provide notice to users about law enforcement requests for their information prior to complying with the request, unless prohibited by law. We might delay notice in cases involving the threat of death or bodily injury, or the exploitation of children. It is our policy to provide notice to users about grand jury subpoenas seeking user information. If you object to the user receiving notice in a particular case, please provide legal justification when serving the subpoena or obtain a sealing order prior to service. Once the basis for the non-disclosure has expired, we will give notice to the user. For the first time this year, we evaluated companies on whether they were transparent about what deleted data they stored. Often, users may not realize that data they delete from an email service provider or off a social network is still stored and available to law enforcement agencies upon request. Transparency is the first step to educating users about what happens to their deleted data, so we are evaluating companies on their transparency practices in this category. Note that we aren’t making specific requirements about a company deleting data after a certain time. Indeed, some companies publicly state that they maintain deleted data and server logs indefinitely—a practice we think is terrible for users. However, for this report, we’re just asking companies to be clear about retention periods for data collected that may not be easily viewable to the user (including IP addresses and DHCP data) as well as content that users deleted. Comcast can provide historic Internet Protocol assignment and session information for a period of 180 days for Xfinity Internet users. Customer deleted emails remain in the customer’s Trash Folder for 30 days if the folder is not emptied. Once emptied, the customer can retrieve those emails for 15 days via the “Recover Deleted items” folder under the Trash header. Xfinity Internet customers can set their own preferences for certain web mail deletion or retention. Thus, depending on a customer’s deletion settings, Comcast may, or may not, have responsive information to a request for email information. Comcast maintains historical call detail records for our Xfinity Voice telephone service for two years. This includes local, local toll, and long distance records. In limited instances, older records may be available, but will require additional time and resources to retrieve. Comcast has other details available in its Law Enforcement Handbook. For more than a year, EFF’s lead investigative researcher Dave Maass has been reporting on how Facebook cooperates with prison systems across the United States to block prisoner access to the social network. Facebook had even set up a dedicated “Inmate Account Takedown Request” form to help prison officials quickly and easily flag prisoner-run accounts for suspension, even when the accounts did not violate any of Facebook’s terms of service. This practice was the inspiration for EFF’s newest category: tracking how often companies are removing content or shutting down accounts at the behest of the government. To earn credit in this category, companies need not refuse all or even any government content removal requests. Rather, they must simply be transparent about how often they are blocking or removing content or accounts. Though this is simple enough, many companies are falling short in this area including Facebook, the company whose practices inspired the creation of the category. Fifteen out of the 24 companies we evaluated received credit in this category, though several do not host content and so this category did not apply to them. 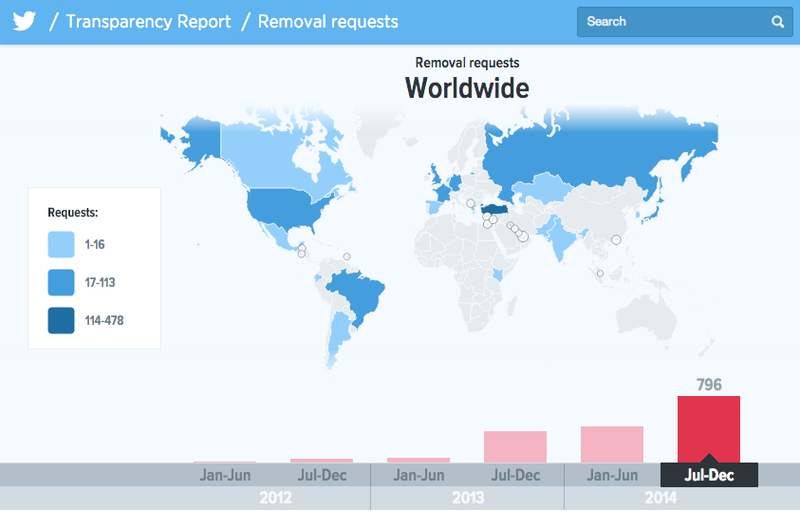 A particularly strong example of this practice is the data published by Twitter, which includes an interactive map that allows users to mouse over countries and get details about content removal requests over a six-month time period. One of the big trends we’re seeing across the tech industry is a rejection of government-mandated security weaknesses. In fact, 21 of the 24 companies we evaluated took a public position opposing backdoors. This is a powerful statement from the technology community that Congress and the White House should heed. We urge you to reject any proposal that U.S. companies deliberately weaken the security of our products… Whether you call them “front doors” or “back doors,” introducing intentional vulnerabilities into secure products for the government’s use will make those products less secure against other attackers. Every computer security expert that has spoken publicly on this issue agrees on this point, including the government’s own experts. We are pleased to see major tech companies competing on privacy and user rights. Practices that encourage transparency with users about government data requests are becoming the default for companies across the web. While we’re only able to judge a small selection of the tech industry, we believe this is emblematic of a broader shift. Perhaps invigorated by the ongoing debates around government surveillance and in response to growing public attention around these issues, more and more companies are voluntarily speaking out about government data requests and giving users tools to fight back. We think that this type of transparency can help prompt broader discussion and systematic change about how and when governments access user data and perhaps eventually prompt Congress to clarify and improve the privacy laws for digital data. We also recognize that technology companies are in a position to know about and resist overbroad government requests, so we need to do everything within our power to encourage them to speak out and fight back. In handing our data to these companies, we’ve handed them a huge responsibility to do what they can to stand up for privacy. We’re pleased that many of the companies we evaluated are stepping up to the task. Adobe earns five stars in this year’s Who Has Your Back report. This is Adobe’s second year in the report, and it has adopted every best practice we’ve identified as part of this report. We commend Adobe for its strong stance regarding user rights, transparency, and privacy. [W]e require a search warrant issued upon a showing of probable cause under relevant state or federal law before we will turn over user content stored on our servers, such as photos, videos, documents, form responses, or email messages. In addition to a law enforcement guide, Adobe publishes a transparency report. Disclose content removal requests. Adobe discloses the number of times governments seek the removal of user content or accounts, and how often the company complies, including formal legal process as well as informal government requests. Adobe has not built ‘backdoors’ for any government—foreign or domestic—into our products or services. All government requests for user data need to come through the front door (i.e., by serving valid legal process upon the appropriate Adobe legal department). Adobe vigorously opposes legislation in the US and overseas that would in any way weaken the security of our products or our users’ privacy protections. Amazon earns three stars in this year’s Who Has Your Back report. This is Amazon’s fifth year in the report, and this year marked a turning point for the company. Amazon published its transparency report, law enforcement guidelines, and a statement opposing government mandated backdoors. We have credited Amazon’s commitment for requiring a warrant for user content in prior years. However, there is room for improvement. Amazon should strengthen its policy of providing users notice of law enforcement requests and create more transparency around data retention policies. With respect to the content of electronic communications, we believe that ECPA requires law enforcement authorities to obtain a search warrant to compel disclosure. We do not release information without valid process and have not disclosed content without a search warrant. In addition, Amazon publishes a transparency report and law enforcement guidelines. Inform users about government data demands. Amazon does not promise to provide advance notice to users about government data demands. Disclose data retention policies. Amazon does not publish information about its data retention policies, including retention of IP addresses and deleted content. Disclose content removal requests. In its transparency report, Amazon does disclose the number of times governments seek the removal of user content or accounts and how often the company complies, including formal legal process as well as informal government requests. While we recognize the legitimate needs of law enforcement agencies to investigate criminal and terrorist activity, and cooperate with them when they observe legal safeguards for conducting such investigations, we oppose legislation mandating or prohibiting security or encryption technologies that would have the effect of weakening the security of products, systems, or services our customers use, whether they be individual consumers or business customers. Apple earns five stars in this year’s Who Has Your Back report. This is Apple’s fifth year in the report, and it has adopted every best practice we’ve identified as part of this report. We commend Apple for its strong stance regarding user rights, transparency, and privacy. Law enforcement is required to obtain a search warrant that is issued upon a probable cause showing for search warrants requesting user content. In addition to a law enforcement guide, Apple publishes a transparency report. Apple will notify its customers when their personal information is being sought in response to legal process except where providing notice is prohibited by the legal process itself, by a court order Apple receives (e.g., an order under 18 U.S.C. §2705(b)), or by applicable law or where Apple, in its sole discretion, believes that providing notice could create a risk of injury or death to an identifiable individual or group of individuals, in situations where the case relates to child endangerment, or where notice is not applicable to the underlying facts of the case. Connection logs are retained up to 30 days. See Apple’s legal process guidelines for more detailed information. Disclose content removal requests. Apple discloses the number of times governments seek the removal of user content or accounts and how often the company complies, including formal legal process as well as informal government requests. In addition, Apple has never worked with any government agency from any country to create a “back door” in any of our products or services. We have also never allowed any government access to our servers. And we never will. AT&T earns one star in this year’s Who Has Your Back report. This is AT&T’s fifth year in the report, and it has adopted all of the best practice we recognized in prior years’ reports. We applaud those commitments and urge the company to integrate the new 2015 standards. Except in emergency circumstances, a search warrant or probable cause court order for all real-time location information (i.e., wiretaps and GPS) and stored content (i.e., text and voice messages) is required for all jurisdictions, courts, and agencies. In addition, AT&T publishes a transparency report and law enforcement guide. Inform users about government data demands. AT&T does not promise to provide advance notice to users about government data demands. Disclose data retention policies. AT&T does not publish information about its data retention policies, including retention of IP addresses and deleted content. Disclose content removal requests. AT&T does not host significant content nor do we have reason to believe it receives account closure requests domestically, and thus this category is not applicable. Pro-user public policy: oppose backdoors. In a public, official written format, AT&T has not opposed the compelled inclusion of deliberate security weaknesses. Comcast earns three stars in this year’s Who Has Your Back report. This is Comcast’s fifth year in the report, and it has adopted all of the best practice we recognized in prior years’ reports. Comcast’s policies also meet several of the 2015 category requirements, including taking a policy position opposing backdoors and disclosing its data retention policies. We’re pleased with Comcast’s policies in these areas. However, there is still some room for improvement: Comcast can adopt a stronger policy around providing users with notice about government data requests. Comcast requires a warrant for the release of all content data regardless of the amount of time the content has been in electronic storage. In addition to a law enforcement guide, Comcast publishes a transparency report. Comcast may also be required to disclose personally identifiable information and individually identifiable CPNI about subscribers to high-speed Internet, phone, and home security services to a government entity in response to a subpoena, court order, or search warrant, for example. We are usually prohibited from notifying the subscriber of any disclosure of personally identifiable information to a government entity by the terms of the subpoena, court order, or search warrant. Disclose content removal requests. Comcast does not host significant content, and thus this category is not applicable. However, Comcast does not support the creation of extra-legal "backdoors," or the inclusion of deliberate security weaknesses in open source or other software to facilitate surveillance without proper legal process. CREDO earns five stars in this year’s Who Has Your Back report. This is CREDO’s second year in the report, and it has adopted every best practice we’ve identified as part of this report. We commend CREDO for its strong stance regarding user rights, transparency, and privacy. CREDO requires third parties to obtain a U.S. subpoena, court order, or warrant (for example, in the case of a request for content) in order to obtain CREDO customer information. In addition to a law enforcement guide, CREDO publishes a transparency report. CREDO will notify customers upon receipt of criminal legal process seeking information about their accounts unless such notification is prohibited by law. There is a 21-day waiting period before disclosure of account information, unless CREDO is compelled by law to respond earlier. When CREDO is prohibited from notifying a customer before complying with criminal legal process, CREDO will provide notification once the legal prohibition expires. CREDO will notify customers when information about their accounts has been provided in response to an emergency request. CREDO retains customer name, address, phone number, email address, and product type information for historical purposes. CREDO stores individually-identifiable customer billing data for three years unless longer storage is needed for tax, business, accounting, or legal purposes. CREDO does not receive or store precise handset location information or IP addresses. CREDO does not receive or store the content of customer communications sent using our services except customer communications directed to us for customer service purposes. Dropbox earns five stars in this year’s Who Has Your Back report. This is Dropbox’s fourth year in the report, and it has adopted every best practice we’ve identified as part of this report. We commend Dropbox for its strong stance regarding user rights, transparency, and privacy. All requests for content information were accompanied by a search warrant, which is the legal standard that Dropbox requires. In addition, Dropbox publishes a transparency report and law enforcement guide. Subscriber information is available while an account is active. Deleted files in an active account will still be available for 30 days after deletion, or if the account has been preserved, until the preservation expires. Once an account is deleted, subscriber information and the content in the account will be unrecoverable after 30 days, unless the account is preserved. Disclose content removal requests. Dropbox discloses the number of times governments seek the removal of user content or accounts and how often the company complies, including formal legal process as well as informal government requests. Governments should never install backdoors into online services or compromise infrastructure to obtain user data. We’ll continue to work to protect our systems and to change laws to make it clear that this type of activity is illegal. Facebook earns four stars in this year’s Who Has Your Back report. This is Facebook’s fifth year in the report, and it has adopted most of the practices we’ve identified as part of this report. While we commend the steps it has taken to stand by its users, there is more to be done. Facebook should disclose when it blocks content or closes accounts in response to government requests. In addition to a law enforcement guide, Facebook publishes a transparency report. Disclose content removal requests. While Facebook does report on some content restriction internationally, it does not provide transparency into ways it cooperates with the U.S. government to block content and remove accounts. For example, EFF learned through a public-records request that Facebook processed 74 requests from California prison officials in 2014 to suspend inmate profiles. These takedowns requests are not disclosed in Facebook’s transparency report. Google earns three stars in this year’s Who Has Your Back report. This is Google’s fifth year in the report, and it has adopted some of the policies we are highlighting, including the best practices from prior reports. Nonetheless, there is room for improvement. Google should take a stronger position in providing notice to users about government data requests after an emergency has ended or a gag has been lifted. Furthermore, Google should provide transparency into its data retention policies. But Google requires an ECPA search warrant for contents of Gmail and other services based on the Fourth Amendment to the U.S. Constitution, which prohibits unreasonable search and seizure. In addition to a law enforcement guide, Google publishes a transparency report. If Google receives ECPA legal process for a user's account, it's our policy to notify the user via email before any information is disclosed. (If the account is an Enterprise Apps hosted end user account, notice may go to the domain administrator, or the end user, or both.) This gives the user an opportunity to file an objection with a court or the requesting party. If the request appears to be legally valid, we will endeavor to make a copy of the requested information before we notify the user. We might not give notice when we have reason to believe that the notice wouldn’t go to the actual account holder, for instance, if an account has been hijacked. Disclose data retention policies. Google publishes some information about log data and deleted data, but it is not complete and representative of all its services and thus does not qualify for a star. Disclose content removal requests. Google does an exemplary job disclosing the number of times governments seek the removal of user content or accounts and how often the company complies, including formal legal process as well as informal government requests. LinkedIn earns four stars in this year’s Who Has Your Back report. This is LinkedIn’s fourth year in the report, and it has adopted many of the best practice we’ve identified as part of this report. We commend LinkedIn for the steps it has taken toward transparency and standing with users, but there’s still room for improvement. Specifically, LinkedIn should begin reporting government requests to block content and accounts. Please note that certain types of member data, including messages, invitations and connections, have a high bar for disclosure and can only be disclosed pursuant to a valid search warrant from an entity with proper jurisdiction. In addition to a law enforcement guide, LinkedIn publishes a transparency report. LinkedIn’s policy is to notify Members of Requests for their data unless we are prohibited from doing so by statute or court order. Law enforcement officials who believe that notification would jeopardize an investigation should obtain an appropriate court order or other valid legal process that specifically precludes Member notification, such as an order issued pursuant to 18 U.S.C. §2705(b). When a Request is accompanied by a nondisclosure order, LinkedIn will notify the affected Member(s) as soon as the order is overturned or expires on its own terms. LinkedIn generally does not retain a copy of information from a Member’s profile page once the information has been revised or removed by the Member. Other categories of data relating to Member accounts, such as account log-in history for active accounts, are only accessible for a defined time period. Please note that, except in unusual circumstances, 24 months represents the upper limit on IP log data that can be provided in response to any Data Request. Additionally, in the normal course, if a Member closes his or her account, we promptly delete or de-personalize information from that account, generally within 20 to 30 days of account closure. LinkedIn cannot recover Invitations or Messages once they are permanently deleted by a Member, and cannot recreate evidence of Connections that have been severed. Disclose content removal requests. LinkedIn does not disclose the number of times governments seek the removal of user content or accounts. Microsoft earns three stars in this year’s Who Has Your Back report. This is Microsoft’s fifth year in the report, and it has adopted several of the best practices we are highlighting. We appreciate what Microsoft has done to stand up for user transparency and privacy, but it still has more work to do. In particular, Microsoft should make clear its data retention policies and disclose what government content removal requests it receives. Microsoft requires an official, signed document, issued pursuant to local law and rules. Specifically, we require a subpoena or equivalent before disclosing non-content, and only disclose content in response to a warrant or court order. Microsoft's compliance team reviews government demands for user data to ensure the requests are valid, rejects those that are not valid, and only provides the data specified in the legal order. In addition to a law enforcement guide, Microsoft publishes a transparency report. Microsoft will give prior notice to users whose data is sought by a law enforcement agency or other governmental entity, except where prohibited by law. We may also withhold notice in exceptional circumstances, such as emergencies, where notice could result in danger (e.g., child exploitation investigations), or where notice would be counterproductive (e.g., where the user’s account has been hacked). Microsoft will also provide delayed notice to users upon expiration of a valid and applicable nondisclosure order unless Microsoft, in its sole discretion, believes that providing notice could result in danger to identifiable individuals or groups or be counterproductive. Disclose data retention policies. Microsoft does not publish information about its data retention policies that includes information about retention of IP addresses and deleted content. Disclose content removal requests. Microsoft does not disclose the number of times governments seek the removal of user content or accounts. Microsoft informs us that they will be publishing this in September. We’re also seeing officials around the world try to limit security measures such as encryption without making progress on the stronger legal protections that people deserve. The bottom line is that while governments only request data on a very small fraction of our customers, governments are seeking to alter the balance between privacy and public safety in a way that impacts everyone. As we have said before, there are times when law enforcement authorities need to access data to protect the public. However, that access should be governed by the rule of law, and not by mandating backdoors or weakening the security of our products and services used by millions of law-abiding customers. This should concern all of us. Pinterest earns four stars in this year’s Who Has Your Back report. This is Pinterest’s second year in the report, and it has adopted many of the best practices we’re highlighting in this report. We commend Pinterest’s efforts to stand up for their users, but there is still room for improvement. Pinterest should disclose its data retention policies. To compel Pinterest to provide any user's content, you must obtain a valid search warrant. In addition to a law enforcement guide, Pinterest publishes a transparency report. ​In cases where notice isn't provided because of a court order or emergency situation, our policy is to provide notice to the user once the court order or emergency situation has expired. Disclose content removal requests. Pinterest does disclose the number of times governments seek the removal of user content or accounts and how often the company complies, including formal legal process as well as informal government requests. Pinterest opposes compelled back doors and supports reforms to limit bulk surveillance requests. reddit earns four stars in this year’s Who Has Your Back report. This is reddit’s first year in the report, and it has adopted many of the best practice we’ve identified as part of this report. We commend reddit for its strong stance regarding user rights, but there’s still room to improve. We urge reddit to take an official stance opposing government mandated backdoors. reddit requires a search warrant based on probable cause to disclose user content information, which includes private messages and posts/comments that have been deleted or otherwise hidden from public view. In addition to a transparency report, reddit publishes a law enforcement guide (which is also on its transparency report page). When you create an account, you are required to provide a username and password, and may opt to provide an email address. We also log, and retain indefinitely, the IP address from which the account is initially created. The posts and comments you make on reddit are not private, even if made to a subreddit not readily accessible to the public. This means that, by default, they are not deleted from our servers – ever – and will still be accessible after your account is deleted. However, we only save the most recent version of comments and posts, so your previous edits, once overwritten, are no longer available. Your messages are generally only viewable by the parties involved, but they may be accessed internally as needed for community support. Moreover, we keep a complete log of all messages sent on our service, even when both parties later delete their accounts. reddit stores the IP addresses associated with specific posts, comments, and private messages for 90 days after they are made or sent. Disclose content removal requests. reddit does disclose the number of times governments seek the removal of user content or accounts and how often the company complies, including formal legal process as well as informal government requests. Pro-user public policy: oppose backdoors. reddit has not published a public, official written statement opposing the compelled inclusion of deliberate security weaknesses. Slack earns four stars in this year’s Who Has Your Back report. This is Slack’s first year in the report, and it has adopted several of the best practices we are highlighting in this report. We appreciate the steps Slack has taken to stand by its users, but there’s room for improvement. Slack should improve its policies around providing users notice of government requests and clarify its data retention policies with regard to IP addresses. Slack does not disclose account content absent a search warrant in criminal cases. In addition, Slack publishes a transparency report and law enforcement guide (which Slack calls a “user data request policy”). Inform users about government data demands. While Slack promises to provide advance notice to users about government data demands, it does not make clear that it will provide delayed notice after an emergency has ended or a gag has been lifted. Our position is simple: if we get a legal request for user data, we will provide notice in advance to affected parties, teams, or individual users, unless we are legally prohibited from doing so or unless some circumstance exists that prevents us from doing so. This includes situations when disclosure could cause harm to specific people or jeopardize the security of our network. I deleted a message in my Slack team. Is it gone? On free Slack teams, if you’re able to delete a message, that message is marked for deletion and permanently deleted within a matter of days. If you’re a member of a paid Slack team, your team administrator may have selected a message retention option to keep all messages, even if they have been deleted by the user. View your team’s settings to learn more. What is the default message retention setting? The default Slack message retention setting for all teams is to retain all messages in channels, private groups, and DMs, for all team members, for as long as the team exists. With the default settings in place, if a message is edited, only the last edited version of the message is retained. If a message is deleted, it is removed from the archive. What message retention options exist for paid teams? Once a team has moved to a paid version of Slack, administrators can manage message retention settings in a much more granular way. Messages can be automatically deleted in as little as a day, week, or month. Administrators can also increase the scope of message retention by retaining all versions of edited and deleted messages for channels, private groups, and direct messages for a set time period. Administrators also gain the ability to manage retention settings across all channels uniformly, or on a per-channel basis. Do message retention settings apply to files? No. Files can be shared in multiple channels and groups or private to an individual, so message retention settings do not apply. The person who uploads the file can view and delete that file at any time. Administrators may also delete files that are shared to their team. Can I delete my Slack account? Team members have the ability to deactivate their own Slack account. In addition, administrators can deactivate accounts for any users on their team. Deactivation does not fully delete accounts, so that team members may be reactivated at a later date. Before deactivating their account, a user can edit any of their profile fields to omit or include any information they like, and can delete all optional fields completely. Log data. When you use Slack, our servers automatically record information, including information that your browser sends whenever you visit a website or your mobile app sends when you’re using it. This log data may include your Internet Protocol address, the address of the web page you visited before coming to Slack, your browser type and settings, the date and time of your request, information about your browser configuration and plug-ins, language preferences, and cookie data. Log data does not contain message content and is not routinely deleted. Disclose content removal requests. Slack does disclose the number of times governments seek the removal of user content or accounts and how often the company complies, including formal legal process as well as informal government requests. Transparency is a key value for us and an important feature in Slack itself. It’s this commitment to transparency that brings me to my last point — Slack opposes government-mandated “back-doors” of any kind but particularly a government-mandated requirement that would compromise data security. Snapchat earns three stars in this year’s Who Has Your Back report. This is Snapchat’s second year in the report, and it has adopted many of the best practices we are highlighting in this report. We appreciate the steps Snapchat has made to stand by its users, but there is more to be done. Specifically, Snapchat should have a stronger policy of notifying users about government requests. Process required for message content: A federal or state search warrant is required for requests that include message content. In addition to a law enforcement guide, Snapchat publishes a transparency report. Inform users about government data demands. Snapchat does not promise to provide advance notice to users about government data demands. The reason Snapchat often will not be able to retrieve message content is that Snapchat deletes each Snap from its servers once all recipients have viewed it. And even when a Snap remains unopened, it will be deleted 30 days after it was first sent. Snapchat retains different types of user information for different periods of time. Snapchat honors valid law enforcement preservation requests made during the period the requested user information is available. Basic Subscriber information: The basic subscriber information entered by a user in creating an account is maintained as long as the user has not edited the information or removed the information from the account. Once the user makes a change, the previously existing information is overwritten. Upon receipt of a preservation request, however, Snapchat can capture the user information available at that time; and future actions by the user will not affect the preserved user information. Snapchat also retains logs containing IP addresses associated with account login and logout for a limited period of time after the user has deleted his or her Snapchat account. Disclose content removal requests. Snapchat does not retain content for long periods of time, and thus this category does not apply. Privacy and security are core values here at Snapchat and we strongly oppose any initiative that would deliberately weaken the security of our systems. We’re committed to keeping your data secure and we will update this report bi-annually. Sonic earns five stars in this year’s Who Has Your Back report. This is Sonic’s fourth year in the report, and it has consistently adopted every best practice we’ve identified as part of this report. We commend Sonic for its strong stance regarding user rights, transparency, and privacy. In addition to a law enforcement guide, Sonic publishes a transparency report. For criminal legal process - Sonic.net will notify customers upon receipt of criminal legal process seeking information about their accounts unless prohibited by law. Please note: If due to emergency threat to life, or legal process prohibits notification, Sonic will notify customer after emergency has ended, or once suppression order expires. Disclose content removal requests. Sonic discloses the number of times governments seek the removal of user content or accounts and how often the company complies, including formal legal process as well as informal government requests. Finally, we are stating for the record our position regarding compelled inclusion of back doors, deliberate security weaknesses or disclosure of encryption keys. Sonic does not support these practices. Tumblr earns three stars in this year’s Who Has Your Back report. This is Tumblr’s third year in the report, and it has adopted several of the best practices we are highlighting in this report. We appreciate the steps Tumblr has taken to stand by its users, but there is room for improvement. Tumblr should disclose its data retention policies and the number of government content removal requests it receives. In addition to a law enforcement guide, Tumblr publishes a transparency report. Disclose data retention policies. Tumblr does not publish information about its data retention policies, including retention of IP addresses and deleted content. Disclose content removal requests. Tumblr does not disclose the number of times governments seek the removal of user content or accounts, and how often the company complies, including formal legal process as well as informal government requests. Twitter earns four stars in this year’s Who Has Your Back report. This is Twitter’s fifth year in the report, and it has adopted many of the best practices we’ve identified as part of this report. We appreciate the steps Twitter has taken to stand up for its users, but more can be done. Twitter should strengthen its policy for notifying users of government requests. Requests for the contents of communications (e.g., Tweets, Direct Messages, photos) require a valid search warrant or equivalent from an agency with proper jurisdiction over Twitter. In addition to a law enforcement guide, Twitter publishes a transparency report. Yes. Twitter's policy is to notify users of requests for their account information, which includes a copy of the request, prior to disclosure unless we are prohibited from doing so (e.g., an order under 18 U.S.C. § 2705(b)). Exceptions to prior notice may include exigent or counterproductive circumstances (e.g., emergencies; account compromises). We may also provide post-notice to affected users when prior notice is prohibited. While we appreciate Twitter’s forward progress on this issue, we urge it to go further and promise to give all users notice of government attempts to access their data. Log Data: When you use our Services, we may receive information (“Log Data”) such as your IP address, browser type, operating system, the referring web page, pages visited, location, your mobile carrier, device information (including device and application IDs), search terms, and cookie information. We receive Log Data when you interact with our Services, for example, when you visit our websites, sign into our Services, interact with our email notifications, use your account to authenticate to a third-party website or application, or visit a third-party website that includes a Twitter button or widget. We may also receive Log Data when you click on, view or interact with links on our Services, including links to third-party applications, such as when you choose to install another application through Twitter. Twitter uses Log Data to provide, understand, and improve our Services, to make inferences, like what topics you may be interested in, and to customize the content we show you, including ads. If not already done earlier, for example, as provided below for Widget Data, we will either delete Log Data or remove any common account identifiers, such as your username, full IP address, or email address, after a maximum of 18 months. Disclose content removal requests. Twitter discloses the number of times governments seek the removal of user content or accounts and how often the company complies, including formal legal process as well as informal government requests. Verizon earns two stars in this year’s Who Has Your Back report. This is Verizon’s fifth year in the report, and it has adopted some of the best practices we’ve identified as part of this report. We appreciate the steps Verizon has taken to stand by its users, but there is room for improvement. Verizon should have a stronger policy of informing users of government requests, disclose its data retention policies, and take a public position opposing back doors. “Stored content” refers to communications or other data that our users create and store through our services, such as text messages, email or photographs. We require a warrant before disclosing stored content to law enforcement, absent an emergency involving the danger of death or serious physical injury. Non-content refers to records we create such as subscriber information that a customer provides at the time she signs-up for our services, and transactional information regarding the customer’s use of our services, such as phone numbers that a customer called. 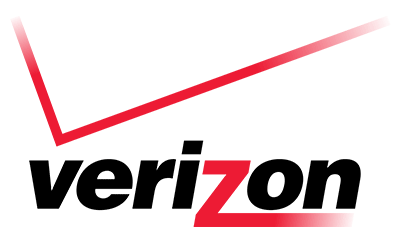 Verizon publishes a combined transparency report and law enforcement guide. Inform users about government data demands. Verizon does not promise to provide advance notice to users about government data demands. Disclose data retention policies. Verizon does not publish information about its data retention policies, including retention of IP addresses and deleted content. Disclose content removal requests. Verizon discloses the number of times governments seek the removal of user content or accounts and how often the company complies, including formal legal process as well as informal government requests. Pro-user public policy: oppose backdoors. In a public, official written format, Verizon does not oppose the compelled inclusion of deliberate security weaknesses. WhatsApp earns one star in this year’s Who Has Your Back report. This is WhatsApp’s first year in the report, and although EFF gave the company a full year to prepare for its inclusion in the report, it has adopted none of the best practices we’ve identified as part of this report. We appreciate the steps that WhatsApp’s parent company Facebook has taken to stand by its users, but there is room for WhatsApp to improve. WhatsApp should publicly require a warrant before turning over user content, publish a law enforcement guide and transparency report, have a stronger policy of informing users of government requests, and disclose its data retention policies. WhatsApp does get credit for Facebook’s public position opposing back doors, and we commend Facebook for that. Industry-Accepted Best Practices. WhatsApp does not publicly require a warrant before giving content to law enforcement. WhatsApp does not publish a transparency report or a law enforcement guide. Inform users about government data demands. WhatsApp does not promise to provide advance notice to users about government data demands. Disclose data retention policies. WhatsApp does not publish information about its data retention policies, including retention of IP addresses and deleted content. Disclose content removal requests. WhatsApp does not host content nor do we have reason to believe it receives account closure requests domestically, and thus this category is not applicable. Wickr requires a warrant supported by probable cause prior to handing over the content of user communications. Therefore, while we receive informal requests or inquiries from law enforcement around the world, we have yet to receive a single formal law enforcement/government request for information regarding our users or their accounts. In addition to a law enforcement guide, Wickr publishes a transparency report. We will always notify you of any third party requests for your information unless legally unable to do so. As soon as legally permitted to do so, we will notify our users of requests for their information. Data Retention on Wickr’s Servers: Our servers store the encrypted messages that you send and receive only long enough to ensure their reliable delivery to each device associated to your account. Undelivered messages are deleted after 7 days. We retain non- message data (i.e. Types of messages) for as long as you use the Wickr Services and for an indefinite time thereafter. Disclose content removal requests. Wickr does not have access to user content, and thus this category does not apply. At the beginning of this year, Wickr’s CEO Nico Sell spoke publicly about saying no to an FBI backdoor which is why we are happy to see other companies fighting back against the government’s overreaching behavior. Our belief is that while all governments must protect their citizens, we as citizens and as companies, must stand up for one of the pillars of freedom–privacy. Wikimedia earns five stars in this year’s Who Has Your Back report. This is Wikimedia’s second year in the report, and it has adopted all of the best practices we’ve identified as part of this report. 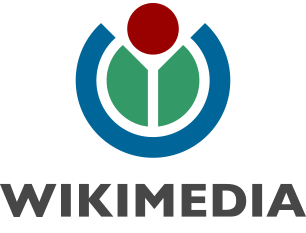 We commend Wikimedia for its strong stance regarding user rights, transparency, and privacy. 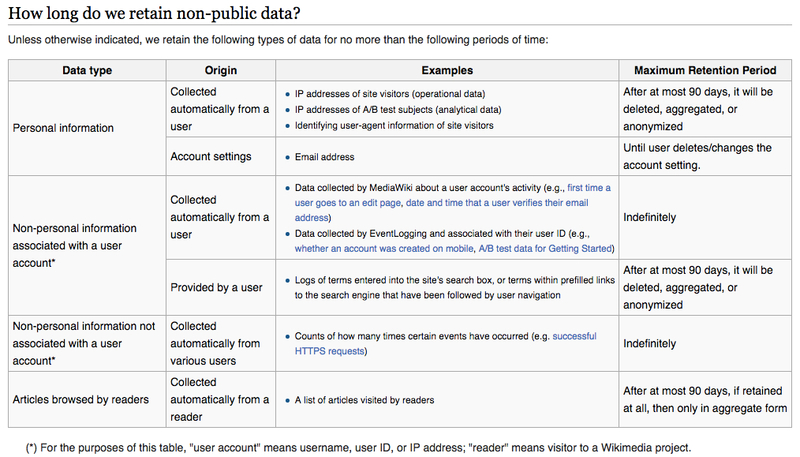 In addition to a law enforcement guide, Wikimedia publishes a transparency report. Disclose content removal requests. Wikimedia discloses the number of times governments seek the removal of user content or accounts, and how often the company complies, including formal legal process as well as informal government requests. Wordpress.com earns five stars in this year’s Who Has Your Back report. This is Wordpress.com’s third year in the report, and it has adopted all of the best practices we’ve identified as part of this report. We commend Wordpress.com for its strong stance regarding user rights, transparency, and privacy. In addition to a law enforcement guide, Wordpress.com publishes a transparency report. As permitted by US law, we may disclose user information to the government or law enforcement, without a subpoena or warrant if we have a good faith belief that an emergency (danger of death or serious physical injury) requires disclosure of information related to the emergency without delay. We require emergency requests to be made in writing and include all the information available so that we may evaluate the urgency of the request. Additionally, we may ask for a subpoena, search warrant, or court order after the disclosure. In these circumstances our policy is still to notify users and provide them with a copy of any legal process regarding their account or site unless we are prohibited by law or court order from doing so. However, in some circumstances, notification may come after the information has been disclosed. We will generally retain the above information until changed or removed by the user (if it’s possible to do so). We also collect log data, which may include a user’s IP address, browser type, operating system. We keep this information for up to 30 days as a matter of course. You can read more about how we handle preservation requests under “Preservation Requests for WordPress.com Sites” below. ... We retain commenter information until the site owner of the site on which the comment appears deletes the comment. Disclose content removal requests. Wordpress.com discloses the number of times governments seek the removal of user content or accounts and how often the company complies, including formal legal process as well as informal government requests. Yahoo earns five stars in this year’s Who Has Your Back report. This is Yahoo’s fifth year in the report, and just as it did last year, it has adopted every best practice we’ve identified as part of this report. We commend Yahoo for its strong stance regarding user rights, transparency, and privacy. In addition to a law enforcement guide, Yahoo publishes a transparency report. Provide Notice to Our Users. Our policy is to explicitly notify our users about third-party requests for their information prior to disclosure, and thereby provide them with an opportunity to challenge requests for their data. In some cases, we may be prohibited by law from doing so, such as when we receive a non-disclosure order pursuant to 18 U.S.C. § 2705(b). Additionally, in exceptional circumstances, such as imminent threats of physical harm to a person, we may elect to provide delayed notice. When the circumstance that prevented us from providing notice prior to disclosure is removed, e.g., the non-disclosure order expired or the threat has passed, we take steps to inform the affected user(s) that data was disclosed. We retain different types of information for varied periods of time depending on a variety of factors, such as user account activity, user requests for deletion, and/or storage capacity. Generally, user login records for the past year are available in response to legal process. In many cases, our users maintain control over the content they store on our network and may remove, alter, or otherwise modify such content at any time. As such, permanently deleted emails, for example, are not available in response to legal process. For more information on our data collection and storage policies, please see our Privacy Center. Disclose content removal requests. Yahoo does disclose the number of times governments seek the removal of user content or accounts and how often the company complies, including formal legal process as well as informal government requests. We’ve encrypted many of our most important products and services to protect against snooping by governments or other actors. This includes encryption of the traffic moving between Yahoo data centers; making browsing over HTTPS the default on Yahoo Mail and Yahoo Homepage; and implementing the latest in security best-practices, including supporting TLS 1.2, Perfect Forward Secrecy and a 2048-bit RSA key for many of our global properties such as Homepage, Mail and Digital Magazines. We’ve also rolled out an end-to-end (e2e) encryption extension for Yahoo Mail, now available on GitHub. Our goal is to provide an intuitive e2e encryption solution for all of our users by the end of 2015. We are committed to the security of this solution and oppose mandates to deliberately weaken it or any other cryptographic system. Who Has Your Back is designed to help users decide which popular technology companies to do business with, highlight the practices of some of the biggest players in the tech space, and draw awareness of some smaller companies that are outpacing large industry competitors. As the years have gone by, we’ve added more and more companies to the report. However, we recognize that more doesn’t always mean better. In fact, we fear that including too many companies may make the report overly complicated and hide important industry trends among the major players. We also acknowledge that some companies that had a larger user base in 2011 have seen a decline in users in subsequent years, while other companies are still doing important work for many users but don’t actively host much sensitive user content. With that in mind, we’ve removed several companies from this year’s report to streamline and simplify the results. The following companies were removed: Foursquare, Internet Archive, LookOut, MySpace, and SpiderOak. To see how those companies rated previously, please see the 2014 Who Has Your Back report. 1. In 2010, the Sixth Circuit Court of Appeals held in United States v. Warshak that the Fourth Amendment to the U.S. Constitution protects user communications stored with an Internet provider, and law enforcement generally must get a warrant to access the content of those communications. While we believe this is a critically important decision and correctly recognizes constitutional protection for electronic communications stored with third parties, it isn’t Supreme Court precedent and therefore is not binding on the government in all jurisdictions. Changing this legislatively is the key goal of the Digital Due Process coalition, but in the meantime, companies can and do refuse to turn over content without a warrant. 2. The exceptions should not be broader than the emergency exceptions provided in the Electronic Communications Privacy Act, 18 USC § 2702 (b)(8). 3. An example of a futile scenario would be if a user’s account has been compromised or hijacked (or his mobile device stolen) and informing the “user“ would concurrently—or only—inform the attacker.